LIFE AS A BONTRAGER: John + Chelsy's Wedding Livestream! John + Chelsy's Wedding Livestream! It is wedding week for these two! We are inviting you, our blog readers, to catch the livestream of John + Chelsy's wedding on Saturday, December 30th, @ 2pm. We'd love to have you join in from around the world as we celebrate their joining in marriage! Visit this link on Saturday afternoon at 1:50pm for the livestream! Also be sure to follow along our instagram account this week @bontragerfamilysingers for wedding week happenings + news! Will you be having it available on youtube afterwards? It will my be my 10am sunday morning church time, so I can't see it live, but would love to watch it when I return home! No, it's not, but if you would like to see it, send us an email request after the wedding and we may be able to share a link. It is the same problem with me. I have to work - and besides that I'm living in europe. So it would be so nice to be able to see it when I'm at home again. I will do that; I have a family thing all day. All the best to the lovely couple. Please come to Manitoba sometime! I'm sure you will. Just not now because it's too cold, lol. You can't go barefoot in this winter! thank you I will! I have read your blog and the maxwells for a number of years, so this is double sweet!! If you ever come to new zealand let me know! So happy for them! Hope to view wedding. So excited for you all! Would it be Eastern Time? Blessings on Chelsy and John from the west coast! Great! Thank you! I will be watching from California. The wedding will begin at 2pm Central Time. Will the video available on YouTube , because here it would be 12am ,but I can watch it in the morning..
Congratulations to a beautiful couple!!! Will the video available.on YouTube ? because here it will be 2 in the morning so I will watch it later..
Congratulations on your big day! Enjoy the day as it will go by in a blur! Will try to be watching the live-feed and thank you for inviting us to join in! May you and John have many happy years of wedded bliss! Thank you for sharing your amazing day with me! May God bless you abundantly! I watched it. It was so lovely. Really Jesus focused which brought a special depth to the ceremony. Congrats John and Chelsy. Lots of love from the UK. Sorry to have missed your wedding. Got called into to work. Hope you will have it on YouTube some time. Hi, Congratulations Chelsy and John. I was unable to watch the wedding in Australia due to the time difference. Will it be available on youtube to watch? So nice to be at the wedding. I hope there are no pictures of me for it may be the only time you see me in a suit as all the family should know I do not usually wear one. I know there were pictures taken. Will you put them up? I got pictures myself but am sure there are lots better than I have. Will it be available to view online? We weren't able make it to the wedding, or to live stream it, but we would still love to watch if possible! Would love to receive the link to view the wedding. I just found out about it this week. We would also love to view the wedding! Unfortunately, we didn't see the link to the livestream until after the event was over. Thanks! I could enjoy this blog page and especially this short article. other's thoughts is a valuable investment of at minimum some of my weekly measure of time in my routine. It's just like hunting through the chaff to obtain the treasure. most likely as harmful to you as smokes and deep-fried potato chips. 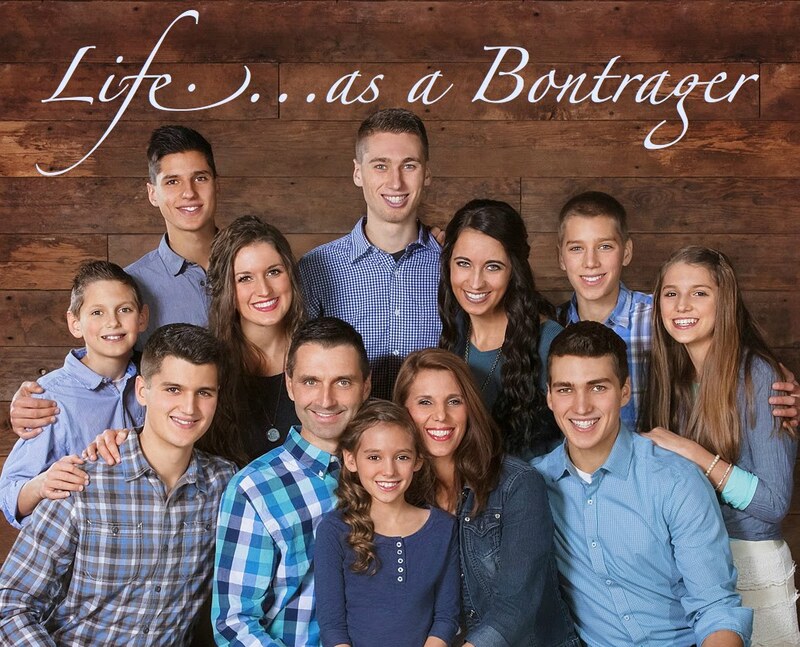 Merry Christmas from the Bontragers!